While every hotelier can and does analyse every visit and purchase on their own branded web sites, how much visibility do they have into their indirect sales channels? With todayÂ’s aspirations to reduce distribution costs, while maximising the number of searches into conversions - are Hoteliers missing a vital trick when it comes to managing their API traffic? Connecting sales and reservation channels directly to third party distributors using APIs is vital to the travel ecosystem. It means travel distributors such as wholesalers and online agents can get direct access to hotel inventory systems, to search for availability and make bookings. But while every hotelier can and does analyse every visit and purchase on their own branded web sites, how much visibility do they have into their indirect sales channels? With today’s aspirations to reduce distribution costs, while maximising the number of searches into conversions - are Hoteliers missing a vital trick when it comes to managing their API traffic? It is possible to analyse indirect API traffic in a similar ‘google analytics’ way, but many suppliers and distributors still operate in the dark. While it is important to monitor API performance in real-time – to avoid unnecessary downtime or revenue leakage due to errors and poor response times, it is also possible and indeed compelling to analyse the business value of API content. APIs are the plumbing pipes that connect suppliers and distributors. In simple terms an API is a way for one company to access the products of another. APIs are basically the web services that connect and bridge the information flow across the connected supply chain – ultimately enabling the variety of options to be put before the consumer. Millions of requests for accommodation and offer replies are exchanged using XML daily. Analysing and aggregating the message content enables the travel product supplier to get a clear picture of what products are being requested, what the responding offers are and how well they match. From this big data analysis, important nuggets of insight can be gleaned to determine whether supply is in line with demand, how to yield manage the price for revenue and whether customers are being satisfied. Data also reveals which suppliers are delivering real value in terms of bookings and which ones are adding to Look-to-Book infrastructure costs with little return. As much as hotels and airlines want to encourage direct sales via their own websites (as a means of being in control of distribution costs), a large proportion of business will continue to come through intermediaries so the dependency is entrenched and this is not about to change. This is especially true for the hospitality sector, where OTAs excel at selling the rooms in a comparative and competitive landscape. When suppliers implement the right XML APIs, they grant access to data and services without relinquishing control. The suppliers decide who has access to their data and what they can do with it. 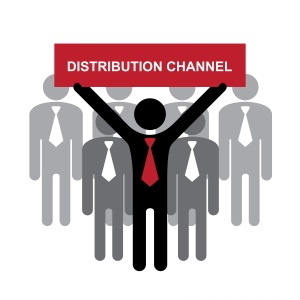 When all the talk is about increasing the direct channel, hotels are understandably cautious when it comes to admitting dependence on the indirect channels. On the one hand, it’s clear they have grown to rely on the help of the distributors to achieve higher occupancy rates and a greater market reach. This is alongside their own direct efforts. On the other hand, choosing the right channels in order to generate both high sales volume and acceptable revenues continues to be their daily challenge. This is an area of course where using the insights gleaned from distribution data can make all the difference, especially where the impetus is to control the spiralling customer acquisition costs. For any channel, the trick is to optimise the conversion rates. That means access to relevant analytics. While it is highly likely that most if not all of hotel sales and distribution departments will have excellent website data collection tools and a digital marketing team to analyse every interaction to eke the last conversion out of the shopping flow, this is of little benefit to the API channel. In the API world there are no web page designs to consider only prices and details on rooms, rates and services to feedback as cold blocks of data. The trick is how can the Hotel optimise the conversion rates of its API channels? The shopping traffic at brand.com may well be predominately leisure whereas the shopping traffic at the API is likely to be a mix of business and leisure. Wholesalers and OTAs largely drive leisure traffic, while GDSs deliver business requirements from corporate travel management companies. That said, travel selling is very fragmented, so no categorisations can be set in stone. Success in the leisure market for the hotel will be largely driven around price. That is not necessarily the case for the business market where convenience, services and efficiency can command a premium. This is B2B shopping now where virtually all of the API traffic will be anonymous too, so the analytics needs to focus on the details contained in the shopping requests to assess the intent of travel. What we are really talking about here is using predictive analytics to set on-line booking platform rules that will provide the real-time segmentation of hotel searches to respond with the best available and most relevant products. Detailed data is required to feed the analytics and detailed data to measure the outcome of the rules which needs to be quickly and appropriately processed. Done correctly, this analysis, set rules and test sequence forms a cyclic feedback loop whose objective is continuous improvement. In the near future, it also likely that the slow manual rules setting process of today will be replaced by the rapid decision making AI technology that is already available. At Triometric, we see the formulating and testing of the differential offer creation process as the perfect end game to a set of conversion optimising approaches that can be taken. This article previously appeared in the Triometric Travel Analytics Blog under Hospitality.